Taipei, Taiwan (August 10, 2017) – ATEN, the leading provider of IT connectivity and total management solutions, today announced that the ATEN control system VK2100 paired with modular matrix solution VM1600 is now powering the newsroom TV walls at Artear, one of the biggest TV networks in Latin America. 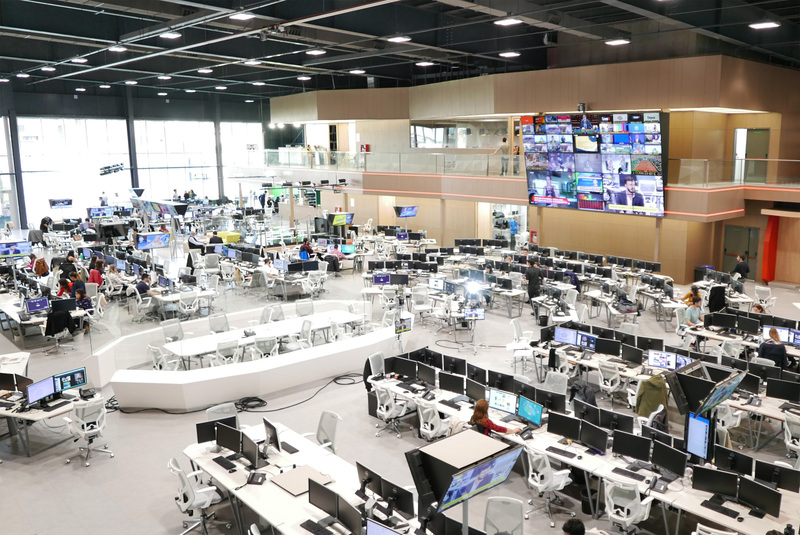 ATEN’s seamless switching and flexible centralized control solution provides reliable support for the requirements of the 24-7 newsroom to display real-time, high-resolution content streams from live channels, social media platforms and outside broadcasting vehicles. Artear, headquartered in Buenos Aires, is one of Argentina's longest-running and most prolific television networks. 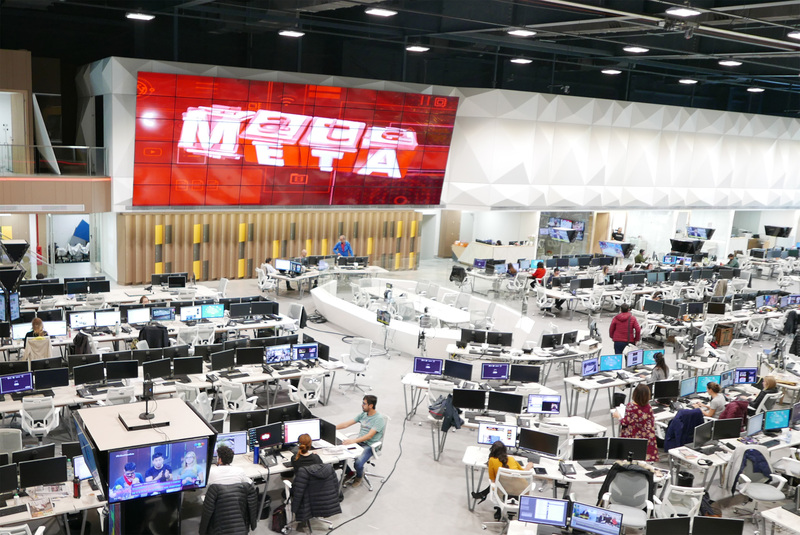 As an innovator in the broadcasting industry in Latin America, Artear decided to build a state-of-the-art newsroom to keep setting the pace for regional news broadcasting and creative, high-quality content. ATEN cooperates with our reliable partner in Argentina, ProShow, to complete the project and Artear was extremely satisfied with both the solutions and the service, which meet their long-distance transmission and seamless switching requirements within the budget. “ATEN remains focused on providing the world with Simply Better Connections, and as a solution provider, we are proud of our award-winning GUI and seamless switch technology. We are delighted that Artear chose an ATEN solution, one that delivered easy management and control, as further proof that our solutions are perfectly suitable for any large-scale, high-end pro A/V environment,” said Kevin Chen, President of ATEN International. Customizable solution with minimal lag when switching: Artear was looking for a flexible solution that was able to be easily and quickly customized to support the fast-paced video display needs of a cutting-edge newsroom with fast switching between video sources in real-time. Easy video wall layout control: To switch among different video wall layouts and content sources easily and quickly. Reliable power redundancy: Power stability and redundancy that is critical for a 24-7 newsroom environment. Multiple video inputs & outputs control: To control a large 10x6 video wall and a smaller 5x5 video wall with 16 different SDI input sources. Long distance transmission: To extend the 5x5 video wall content up to 70 meters to account for the design architecture of the newsroom. Customized flexibility and video wall confi­guration options: ATEN’s Modular Matrix Switches integrate different video input and output interfaces and encodes the various formats to deliver customized flexibility and video wall configuration options. Seamless switching and reliable, continuous video streams: ATEN’s Seamless Switch™ technology delivers stable and reliable continuous video streams and instant real-time source switching without delays. Centralized video wall control from multiple devices: ATEN’s Control System is a standard Ethernet-based management system that connects all the hardware devices in the news room to provide centralized control directly and effortlessly via a PC, notebook or any mobile device. Reliable power redundancy design: Two power slots on the VM1600 that can connect to two different power supplies provide the reliable power redundancy that is critical for the 24-7 operations of a newsroom. Long distance video transmission: The support for extended HDBaseT transmission over a single Cat 6/6a cable ensures that the solution is easily adaptable to the physical architecture of the newsroom while providing seamless switching and video wall functionality. For more detail information about Artear case study, please click here. For more case studies, please visit ATEN Case Study pages. For more ATEN Control System information, please click here.